With its intricate split weave rattan frame, this arm chair makes for an eye-catching dining room. 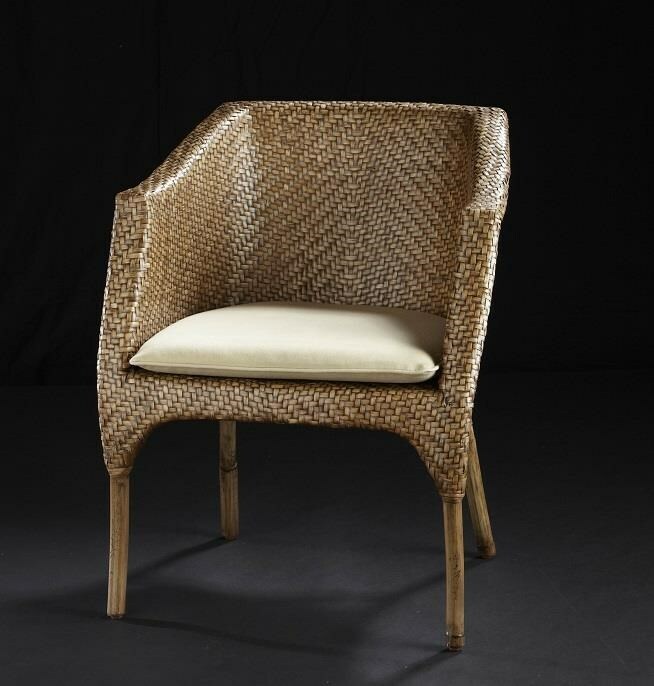 The woven rattan exudes tropical style, while the clean arms and reversible seat cushion add transitional appeal. Create a relaxed, yet elegant dining space with this tropically styled arm chair. The Carla II Dining Arm Chair by C.S. Wo & Sons at C. S. Wo & Sons Hawaii in the Hawaii, Honolulu, Oahu, Hawaiian Islands, Waikiki, Diamond Head, East Honolulu area. Product availability may vary. Contact us for the most current availability on this product.